One of the last opportunities to own an executive custom built home on Pebble Place in Bear Mountains desirable golf course neighbourhood. Situated high above the 4th fairway, you’re able to appreciate the perks of living on the course while still enjoying your privacy. This luxurious property will feature 4 beds, 4 bathrooms, den, flex room, exercise room, rec room, bar & wine room spread over 4,200 sq ft. 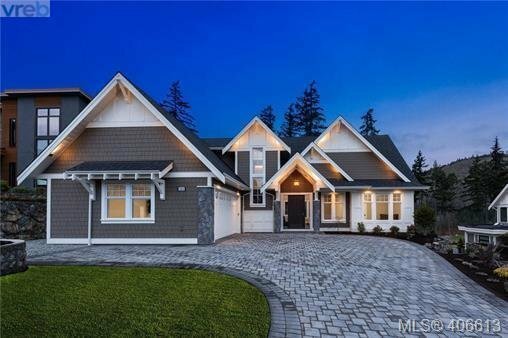 Spacious, open concept main living area will offer top of the line appliances, spectacular finishings, feature gas fireplace, custom built-ins & an expansive deck to relish in the unobstructed views of the award winning course and Mt.Finlayson. Master suite on main level as well as a second master suite spanning the whole top level provides multiple living options. Impressive lower level features open rec room with custom bar and separate wine room ideal for entertaining guests. An exclusive Golf membership included to enjoy resort living at its finest!